Federal Reserve Bank of St. Louis President James Bullard said U.S. unemployment may drop to 6.5 percent by June 2014 and prompt the Fed to raise its benchmark interest rate from near zero. “The current St. Louis Fed forecast for the unemployment rate implies that the 6.5 percent threshold will be crossed in June 2014,” Bullard said in New York. The National Mortgage News reported that the banks are showing preference towards short sales and principal reduction on second liens in order to meet their settlement compliance obligations. HUD reported that a relief of $22.5 billion has been provided in principal reduction by the banks over 266,000 loans reducing the borrower’s loan balance by $84,000 on average. Since March 2012, the banks have assisted 554,400 borrowers with some form of relief. The Wall Street Journal ran an article on how foreign investors on betting on the US rental market. The article mentioned interest from Australia and Canada and how a typical mom-and-pop business turned into an attractive alternate investment scheme. 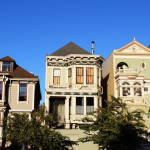 The efforts to keep the momentum in housing recovery continue. Fannie Mae & Freddie Mac announced a new set of guidelines to let underwater homeowners walk away from their commitment with minimum penalties provided they meet one of the ten hardships listed. The new guidelines will be implemented from March 1. Zillow reported that almost 2 million US homeowners are free from negative equity with increasing home values. There are still roughly 13.8 million homeowners struggling with negative equity. According to National Association of Realtors, the national median existing-home price for all housing types was $173,600 in January, up 12.3 percent from January 2012. Investors purchased 19 percent of homes in January. 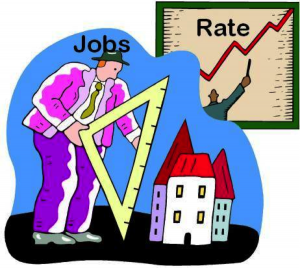 The Builder Online magazine reported an interview with Mark Zandi, Moody’s Chief Economist in which he details 5 reasons that make everyone optimistic about housing recovery – low mortgage rates, increasing dollar volumes of mortgage lending, increasing home values, supply & demand stabilizing onto the long term trend line and modest but steady job growth. Freddie Mac’s 30-year fixed-rate mortgage averaged 3.56%, and 15-year FRM averaged 2.77% for the week ending February 21, 2013.